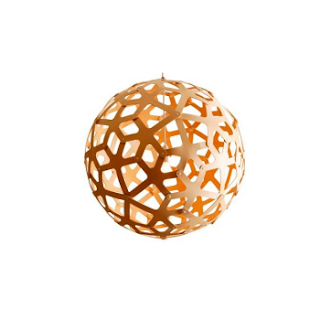 Bring home some commercial interior design with this coral lampshade by David Trubridge, lighting designer extraordinaire, which now comes in a residential friendly 400mm diameter, this is one worth saving for, to have your very own slice of iconic nz design. All lamps come in kitset form, for easy transportation and are made from sustainable bamboo plywood. While assembly is fairly straightforward, it is recommended a certified electrician install the lamp in situ! !